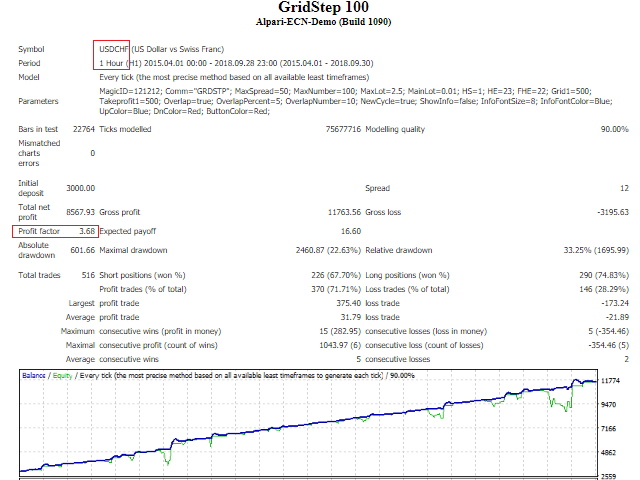 The GridStep grid Expert Advisor works in two directions at the same time, opening orders by indicators' signal with a specified step and lot multiplier. 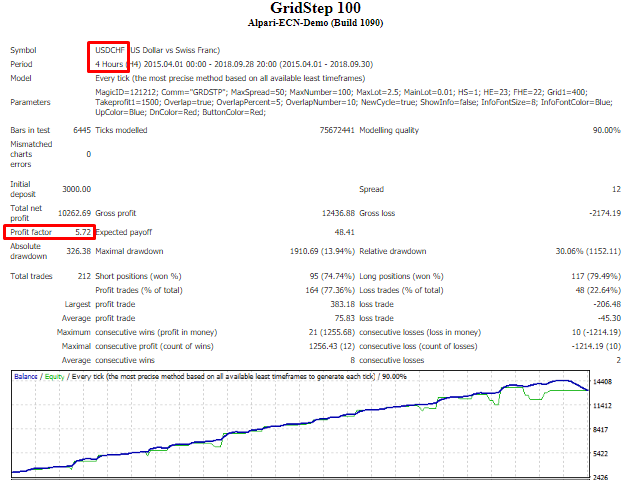 The Expert Advisor has simple settings, works on any timeframe of any currency pair and uses the built-in overlapping system of unprofitable orders. When working on the recommended periods (H1, H4), the adviser does not require special trading conditions and works with almost any type of accounts. By default, SplitStep is configured for use with USDCHF H1. MaxSpread - maximum spread of the symbol for opening/closing orders. Grid1 (in points) - the distance between orders before the order with the serial number GridNumber. Takeprofit1 (in points) - take profit level for the orders less than TPNumber. NewCycle - enable/disable (true/false) starting a new series after reaching take profit. ShowInfo - enable/disable (true/false) the information panel and breakeven/take profit levels. UpColor - level color of a buy series. DnColor - level color of a sell series. CloseBuy button - closes all open buy orders. CloseSell button - closes all open sell orders.